I've loved my flights on Air New Zealand's 767s... A comfortable airliner which has given the national carrier great service. Air Milford was established by David and Philip Bunn in 1993. In 1996 Hank Sproull joined the company after 30 years working for Mount Cook Airline and in 1998 he took over the business. He continued to maintain a close involvement with the day to day management of the company as well as filling the role of chief pilot and as a qualified aircraft engineer. Air Milford has always seen itself as a tour company that focuses on sightseeing tours of the Queenstown, Fiordland and South Island regions. Mainstay of the sightseeing flights are those from Queenstown to Milford Sound but scenic flights are also offered over the Queenstown area, Doubtful Sound and to Mount Cook. The initial aircraft used by Air Milford were Cessna A185F ZK-ENW Skywagon (c/n 18503133) and Cessna U206F Stationair ZK-DWX (c/n U20602641). 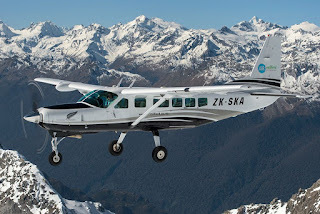 In 2005 the company introduced Cessna 208 Caravan, ZK-SKB (c/n 20800244) to its fleet and it made its first flight to Milford Sound on the 6th of May 2005. In late 2011 Air Milford built a new $250,000 hangar and revamped its existing offices. The 19m-wide, 24m-long hangar was built to also accommodate the company’s Cessna Caravan and the two smaller Cessnas. With the demand for its services increasing Air Milford looked to purchase a second Cessna Caravan. Delays in its delivery led the company to lease Salt Air's Cessna Grand Caravan ZK-MJL during the 2013/14 summer. In January 2014 Antony Sproull, Air Milford's operations manager, along with two other ferry pilots, flew Cessna 208 Caravan SX-SKV from Greece to Queenstown via the Greek Islands, Egypt, Oman, the Maldives, the Cocos Islands and Australia to Queenstown where it was registered ZK-SKA (c/n 20800524). A third brand new Cessna Caravan ZK-SKM (c/n 20800581) arrived from the United States in February 2016. The ferry flight took was piloted by Air Milford's chief pilot Matt Cameron and professional ferry pilot John Smith across the Pacific from California to Hawaii, Pago Pago, Auckland & Queenstown. In December 2016 Air Milford announced it would begin its first scheduled service between Te Anau and Queenstown in early 2017 to test the appetite for a regular commuter service. Operations Manager Antony Sproull said "the trial service would begin on Saturday January 14, and will run every Saturday for 12 weeks through the peak tourist season for a special trial price of $99 per person. We believe the timing is ripe to re-launch this service — the first since Mt Cook Airlines cut the link over 16 years ago." 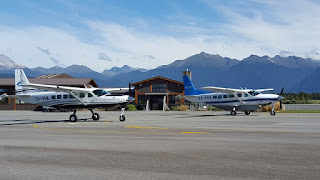 The first scheduled flight to Te Anau's Manapouri Airport was flown on 21 January using Cessna Caravan ZK-SKA flown by Antony Sproull. A second Caravan, ZK-SKB, was also needed for the return flight. The flight carried two paying passengers - Eleanor Pearson and her 8-year-old grandson Kayden Pei. It was Kayden's first time on a plane. The 25-minute flight that showcased views of Mt Nicholas, Mavora Lakes, Von Valley and Lord of the Rings scenery. Antony Sproull said. "If the service was a success, a permanent service would be run through the summer time as fog and weather conditions in winter would be a hinderance." 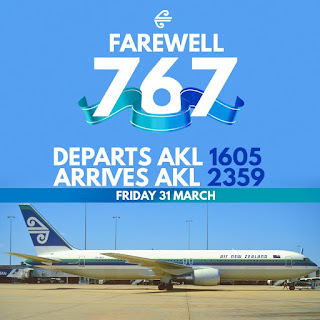 FlightHauraki's Facebook page has announced that are operating a scheduled daily flight from Auckland (Ardmore Airport) to Rotorua. 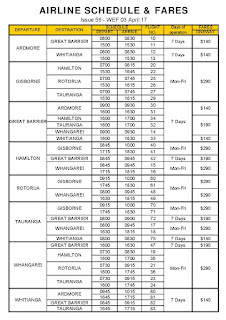 The morning flight departs Ardmore at 8:00 am and the return flight departs Rotorua at 5.30 pm. Special introductory flights are being offered at $99.00 each way. Tickets are available at $99.00 per sector. Also captured at Ardmore was Rockwell Commander 114 ZK-JHL. 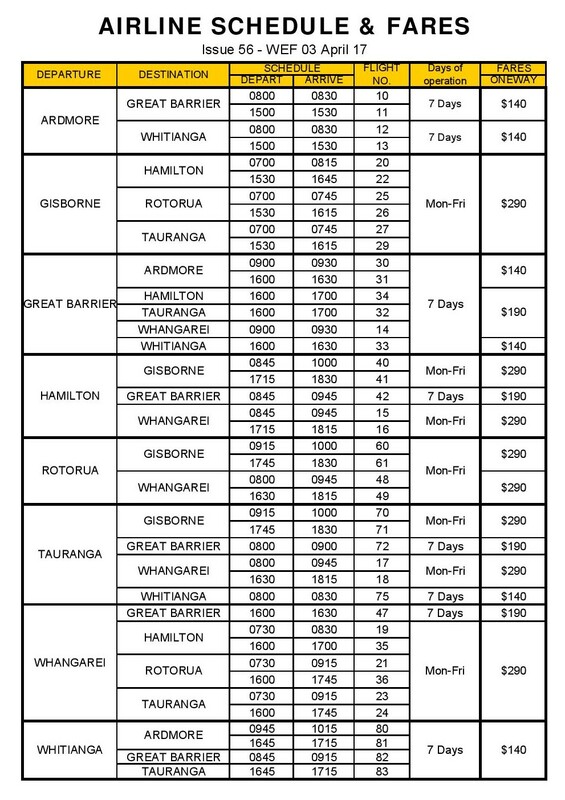 Air travellers will soon have an option for same day travel to Hamilton, Tauranga, Rotorua or Great Barrier Island from Whangarei without the need to travel through Auckland. Encouraged by the increasing population of Whangarei and the surrounding districts, Tauranga based commercial airline Sunair Aviation is extending into Whangarei with scheduled flights out of Whangarei starting April 3. The company is privately owned by Dan and Bev Power who are proud of its 30 year history and excellent safety record. Dan is a commercial pilot and qualified aircraft engineer while Bev takes care of the office and administration part of the business. It offers a fleet of Piper Aztec six seater all weather planes. The airline has created its own terminal at the Whangarei airport by refurbishing an existing building which will allow easy boarding and disembarking. "There is ample free parking and the terminal has coffee and tea making facilities," Bev says. "Initially an experienced flight crew will be relocated to Whangarei from existing Sunair bases." The opportunity to employ local crews may be considered in the future. Daily flights are scheduled Monday to Friday with a 15 minute check-in required. "Same day return flights eliminate overnight accommodation costs for businesses and leisure travellers." One way flights range from $190 to $290 depending on the destination. Charter services will also be available. Bookings can be made by phone, email, via the website and through a 24 hr call centre. At this stage no personal bookings will be taken at the terminal. Power says Sunair is already operating flights from Whangarei for the Northland District Health Board and have been approached to extend this further. The company has been selected by the All-of-Government panel to be one of two non jet (the other is in the South Island) preferred carriers for all Government personnel air travel. In addition Sunair is starting a flight training school at the airport which will include training for both private pilot and commercial licences. The company currently runs a training school in Tauranga and will offer this same level of service to the local community. A training aircraft will be based at Whangarei. Check out Sounds Air's "Pilatus movie"
Tauranga-based airline Sunair Aviation has become the first regional non-jet operator in the North Island to be selected as a preferred air carrier on the All of Government panel. The airline tendered for the panel last year and, after an exhaustive process, was advised late last year that its application had succeeded. 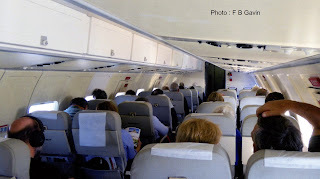 The new status became effective from the beginning of this month and the airline has already begun carrying government personnel. "We're very excited about this - it's a real coup for us," said director Bev Power, who co-owns the airline with her husband, Daniel, the chief executive and a certified commercial pilot and aeronautical engineer. Last year All of Government air travel was said to be worth $223 million, split between a number of large operators. Jetstar made it on to the panel this year for the first time, but the only other regional non-jet carrier to be selected was the South Island's Picton-based Sounds Air. 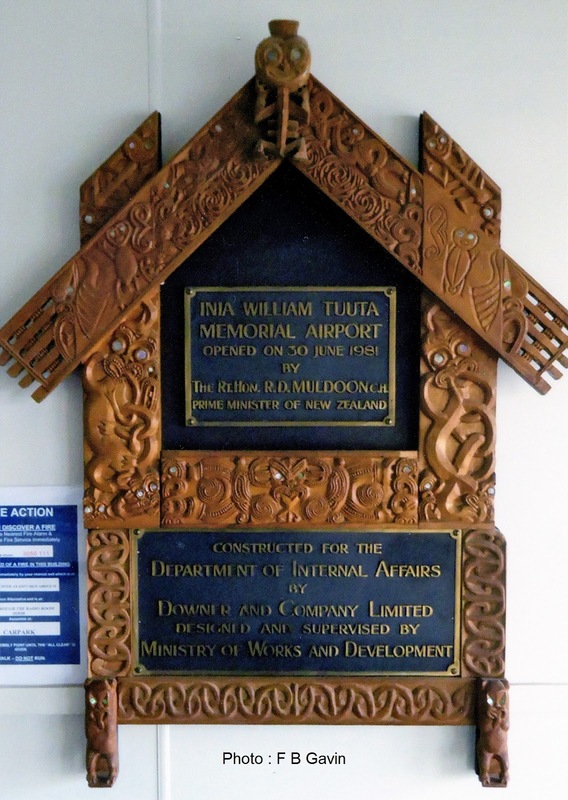 New Zealand Government Procurement said suppliers on the new panel collectively provided the Government with a suitable range of services for international and domestic travel while increasing connectivity to New Zealand's regions. Is it just me or is there is something seriously wrong here??? Two top car rental franchises have abandoned Whanganui due to the city losing its ties with Air New Zealand. Air Chathams general manager Duane Emeny said he received an email from the Avis head office last week stating that both Avis and Budget had closed in Whanganui. "It's not a good thing - we want people to have a range of options and not having a leading car rental service, like Avis and Budget, takes away customer choice which means people may opt to fly to Palmerston North instead," he said. 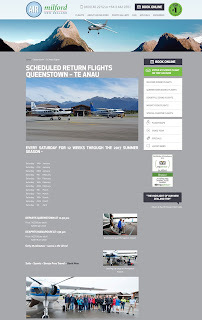 Mr Emeny said Air Chathams had started working with Avis and Budget and had altered their website with an online portal to the car rentals' website. 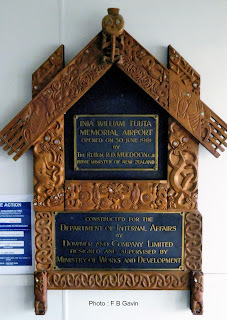 "Interestingly, when we started a flight route from Auckland to Whakatane, Avis and Budget decided to pull out. 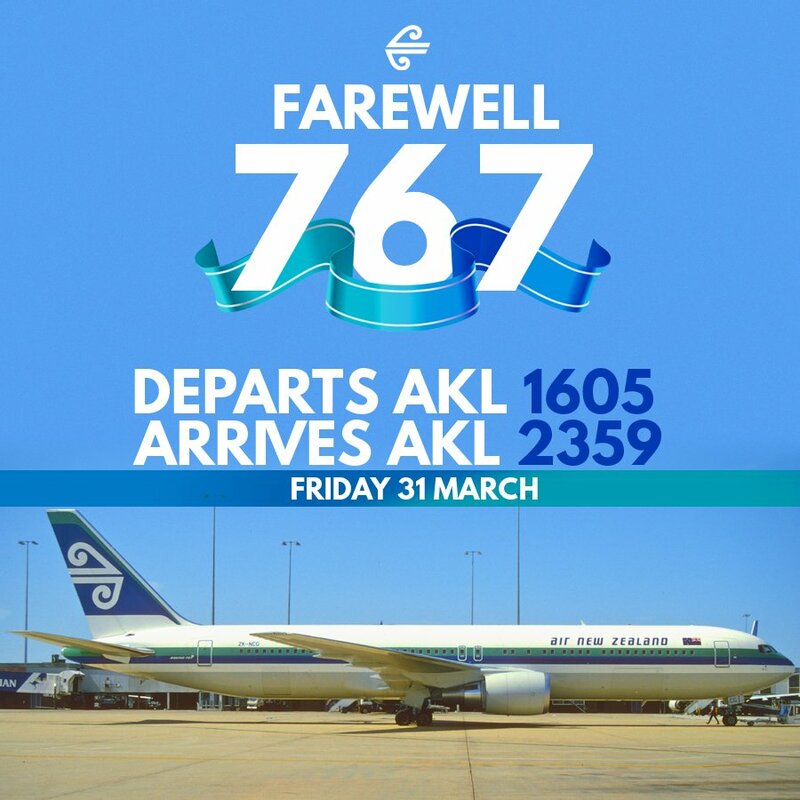 "Unfortunately for us Air New Zealand has a lock on corporates as well as commercial agreements with companies like car rentals," Mr Emeny said. Whanganui mayor Hamish McDouall said it was a real disappointed the two companies had decided to leave. "It's a shame that these large businesses are pulling out but it may be an opportunity for a local car hire service to fill the gap," Mr McDouall said. A concerned customer rang the Avis head office yesterday after not being able to book a car on Saturday and was told Whanganui was not worth the spend for the franchise. "In a city of 46,000 people, with Air Chathams flying in three times and out three times, I find that hard to believe, " the customer said. "I know of two people just last week who picked up a rental in Whanganui to drive to Hastings." Budget Rent a Car New Zealand was wholly owned by the Avis Budget Group. It is understood that Hertz and Pegasus Rental Cars are the only franchises left in Whanganui. 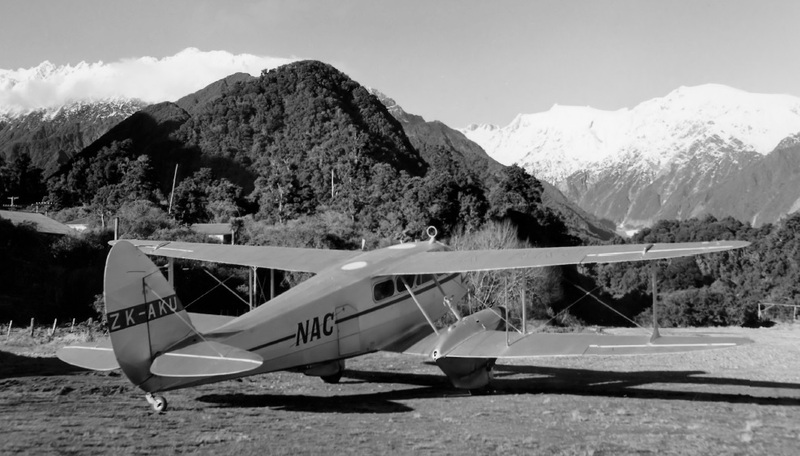 Work is underway to bring a commercial airline back to Wairarapa. Discussions have been ongoing between Masterton District Council and leading New Zealand airlines, with a registration of interest to go out in the next few weeks. 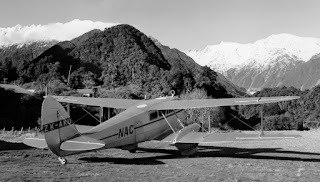 Hood Aerodrome Manager David Hayes said there were “no guarantees” that a suitable airline would be secured, but was hoping to secure a service similar to what Air New Zealand offered previously – “in other words, the Masterton to Auckland route”. 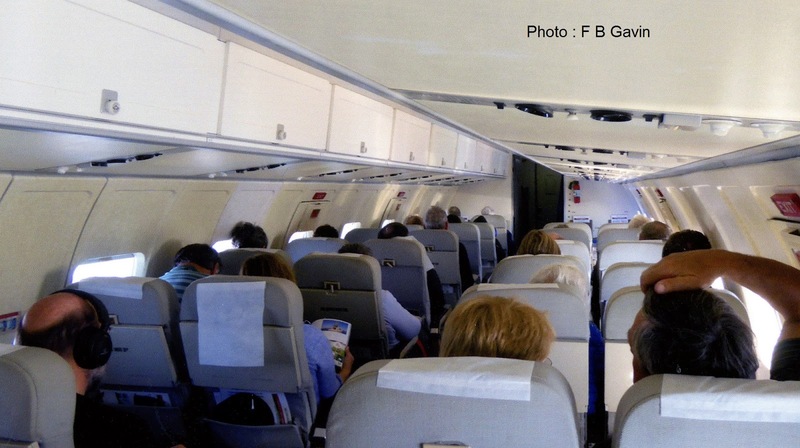 “In my opinion, the issue is not starting up an airline – that’s do-able,” he said. “The issue is, can we get one that’s going to endure and be sustainable? The world is littered with examples of small airlines starting up on small routes and failing, so we’re not unique in that regard. We’ve got to be really careful to get it right if it’s going to survive.” Mr Hayes said council staff had analysed the likely travel demand in Wairarapa, “and based on that work, we think the demand could be well in excess of what Air New Zealand offered previously”. Air New Zealand ran a service in Masterton through its subsidiary, Eagle Air, from 2009 until it was cancelled in 2013 due to a reduction of the Beechcraft fleet. In 2014, Masterton District Council accepted a proposal from Vincent Aviation to operate weekday flights over its rival, Air Chathams, but the company went into liquidation later that year and the service never eventuated. “We know there is a strong demand for a commuter service to Auckland,” Mr Hayes said. “And we know this is driven by the demand of largely business travel. We’ve had people say if there was a reliable Auckland to Masterton link, they would start thinking very seriously about moving to Wairarapa. “However, as we know, despite there being a strong demand, it is difficult to get a viable commercial service, so there are no guarantees in this process.” Mr Hayes said it was too early to know what size aircraft would be likely. “We’d be looking at the whole range, from the smaller ones which are ten seats to the larger ones with more than 30 seats.” The next step along with the registration of interest process was to get businesses and community leaders involved in discussions. 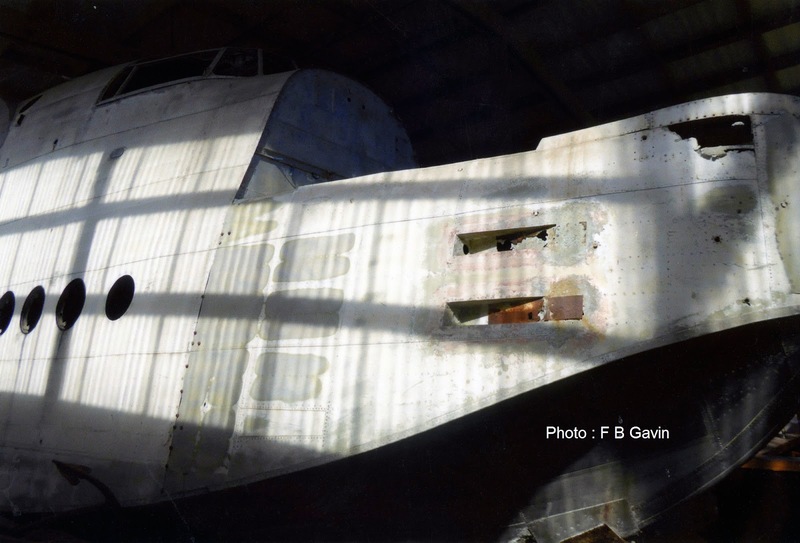 There are funds available if further development is required at Hood Aerodrome. NAC 70th ANNIVERSARY LUNCHEON, CLASSIC FLYERS MUSEUM. Join us for this Anniversary Celebration Luncheon at the wonderful Classic Flyers Museum, Tauranga. invitation and are most welcome to attend. At this stage there are 17 tickets sold with only 11 to go, which is fantastic given that it was only announced last week. Anyone wanting to book a flight down on the DC-3 should ring Classic Flyers 07 572 4000 pronto. And it’s always Naomi’s birthday so it just might be a “party plane”. 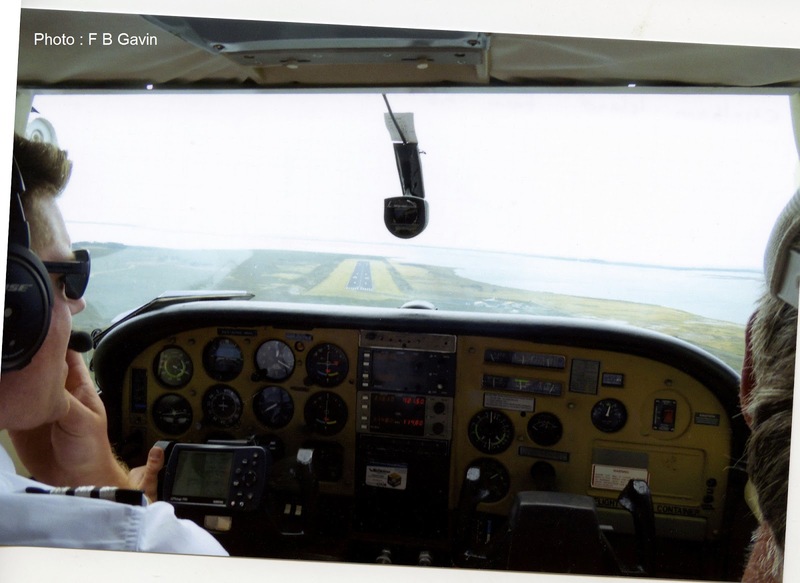 Enjoy an unforgettable flight in one of NAC’s original aircraft. Every seat offers outstanding photo opportunities as it flies over the local Bay of Plenty area. Welcome aboard once again for another enjoyable afternoon catching up with old friends and colleagues. Yep, the punters are definitely keeping us on our toes. Whanganui run is settling in nice, and the Saab is being very well received. Whakatane is rolling on well too. 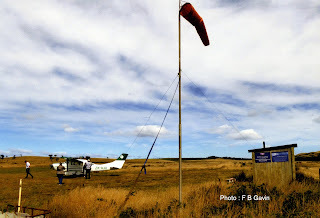 With the new wharf project on the Chatham Islands going full steam ahead we have had record passenger numbers out to the island which is causing a problem in itself with lack of space for much needed island stores. So the extra freight aircraft are certainly helping with that. You'll have noticed that ZK-CIB has been out of action for some time. We found some corrosion around the main spar so she required an extensive repair. While that was being done we decided to give her a full birthday including repaint, new decals, recovered leather seats, new interior lining and carpets. So she'll look great when she rolls out this month. 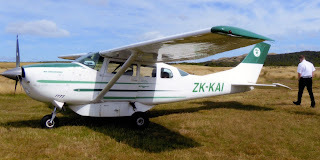 We purchased ZK-KFL last year to fill the gap while ZK-CIB was out of action (needed a plane with large cargo door and palletized loading system for crayfish etc off the island). Since then KFL has been helping out with general freight charters including flying movie equipment to ZQN for recent Disney movie being shot down there. Convair 580 ZK-KFL at the Chathams. We were able to purchase the remaining three CV580's (ZK-FTA, KFH and KFJ) from Freightways at a fair price, and they will be flown to AKL in time to be primarily parted out. This will see us through the next 4-5 years CV580 operations until we have a replacement machine identified and resourced. Bit sad to see them 'cut up' but it will mean we don't need to source and parts from the US and send components away for overhaul which is also very expensive. ZK-PVB the 690A has been dry-leased to an aerial survey company and will be taking aerial shots all around the country over the next few months.